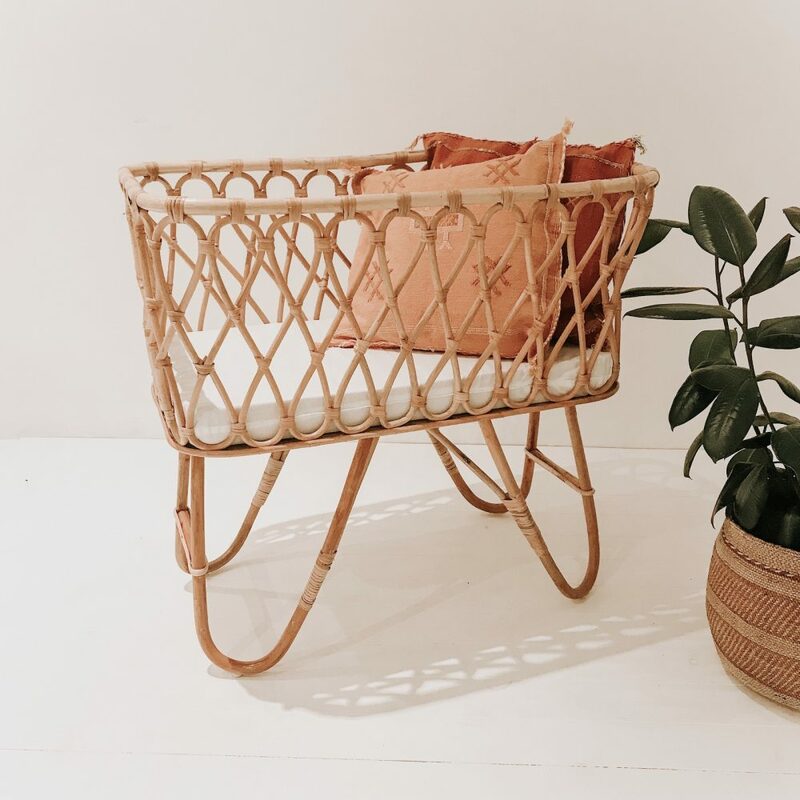 We’re loving our latest collection of baby rattan bassinets, and what’s not to love; they’re sustainable, stylish and you and your baby are going to love them with lots of sleepy nights! We wanted to tell you exactly what we love about them and answer any questions you may have about these delightful baby rattan bassinets. With four styles available to choose from, all you need to do is decide which one is going to fit perfectly in your home. As we said, what’s not to love, but there a few reasons why these rattan bassinets have captured our hearts. When it comes to buying for your newborn baby we know you want quality, functionality and something to add to your home, not something to sit in the corner not to be loved. And these bassinets tick all the boxes, they’re going to be a stylish addition to your home. 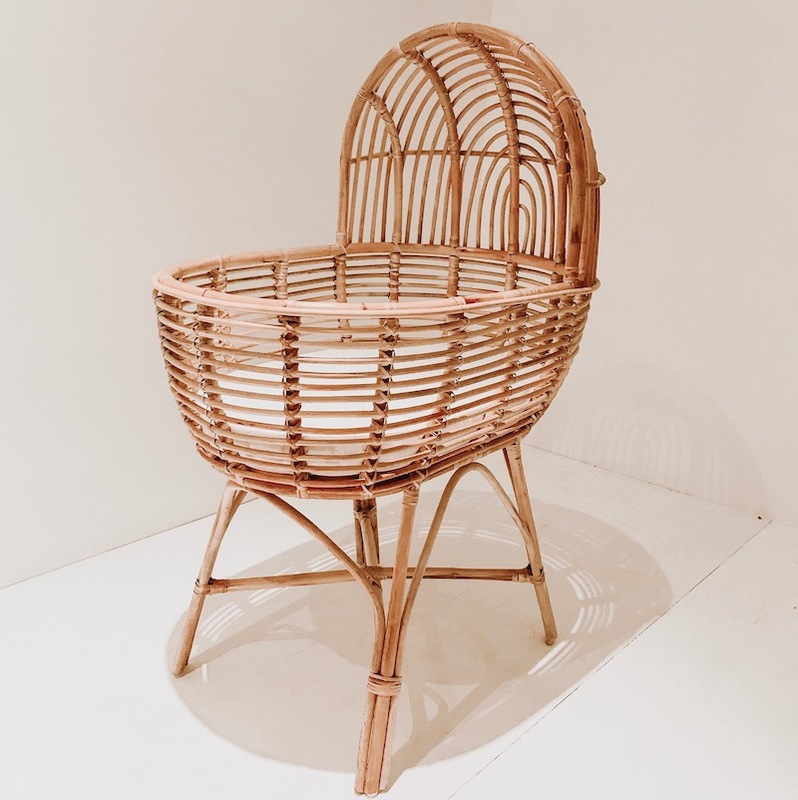 All our baby bassinets are made of rattan. 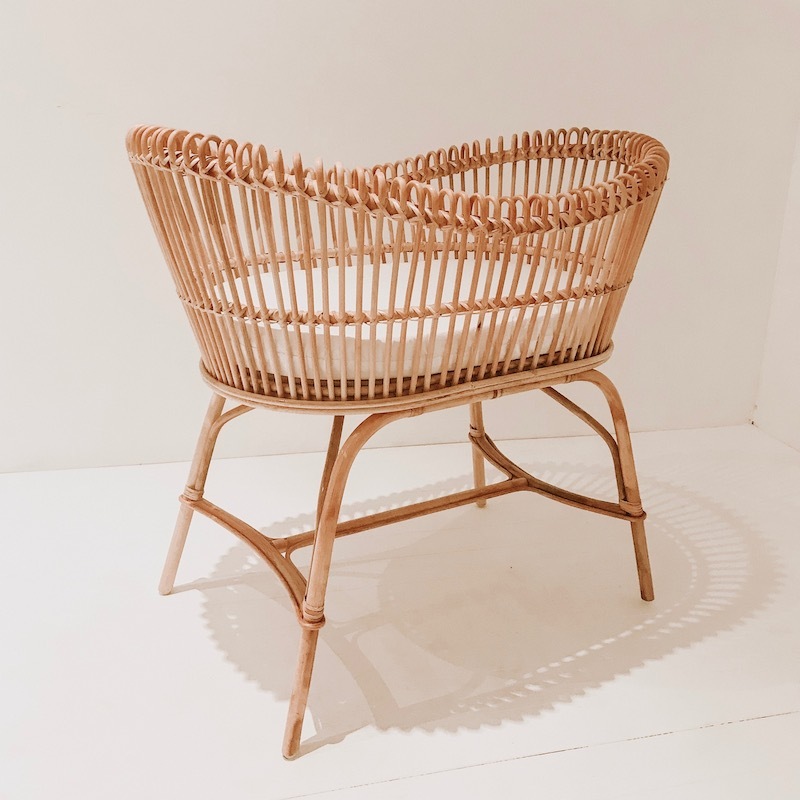 Rattan is a member of the palm family and is considered a very sustainable material due to its quick growing abilities, able to renew itself a lot quicker than its timber alternatives. Another benefit of using rattan over traditional timbers, is the ease in which rattan can be harvested, making it great for the environment as an alternative to logging timber from our already scarce forests. Rattan also grows really well with other trees, relying on healthy forests with tree coverings, which is fantastic in encouraging further protection and conservation of better forest management in regions where fast growing rattan is produced. This is a huge win for the environment! With each baby bassinet, an Australian made mattress is included that is specifically designed, shaped and made for our rattan baby bassinets. Each foam mattress arrives with a cotton removable casing allowing for easy cleaning. We ship each bassinet straight to your door fully assembled, meaning there’s no need for late nights with misleading instructions and arguments (we’ve all been there!). The large package arrives at your door step, and all you need to do is unpack from the secure packaging and place it straight into your home. As we ship all our baby bassinets fully assembled, and the boxes are quite large, we currently have shipping set up to most major cities and quite a lot of regional areas. We currently have shipping prices for the following regions: Victoria, NSW, South Australia, Brisbane and surrounding regions, and Perth. If you fall outside of these areas, we can certainly still ship to you, we’ll just need to calculate a shipping quote for you. 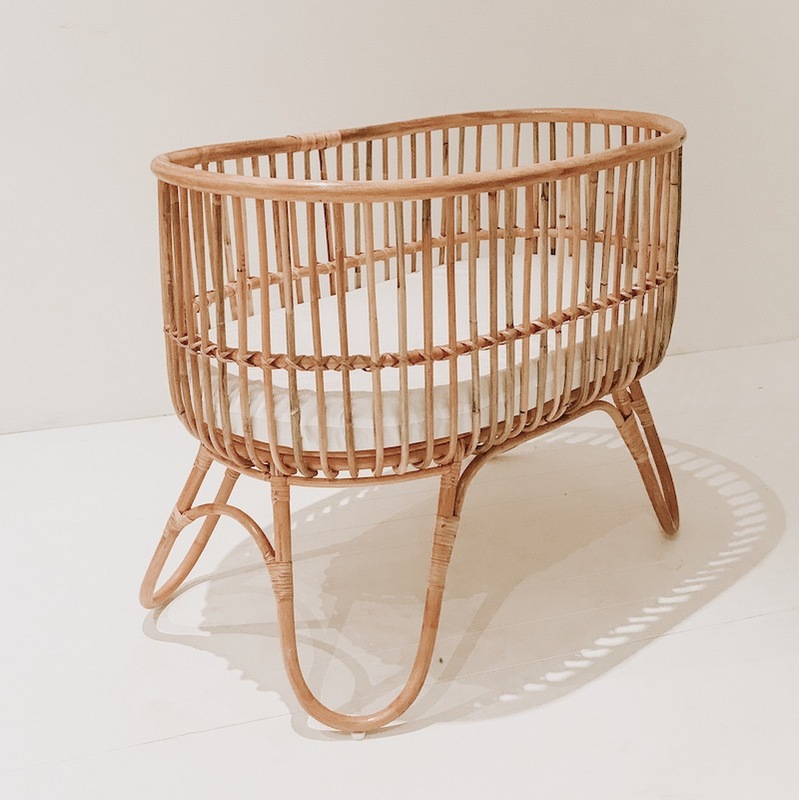 Email us at hello@collectivesol.com.au with your postcode for a quick shipping quote of your rattan baby bassinet. Due to their size, we don’t currently ship internationally. 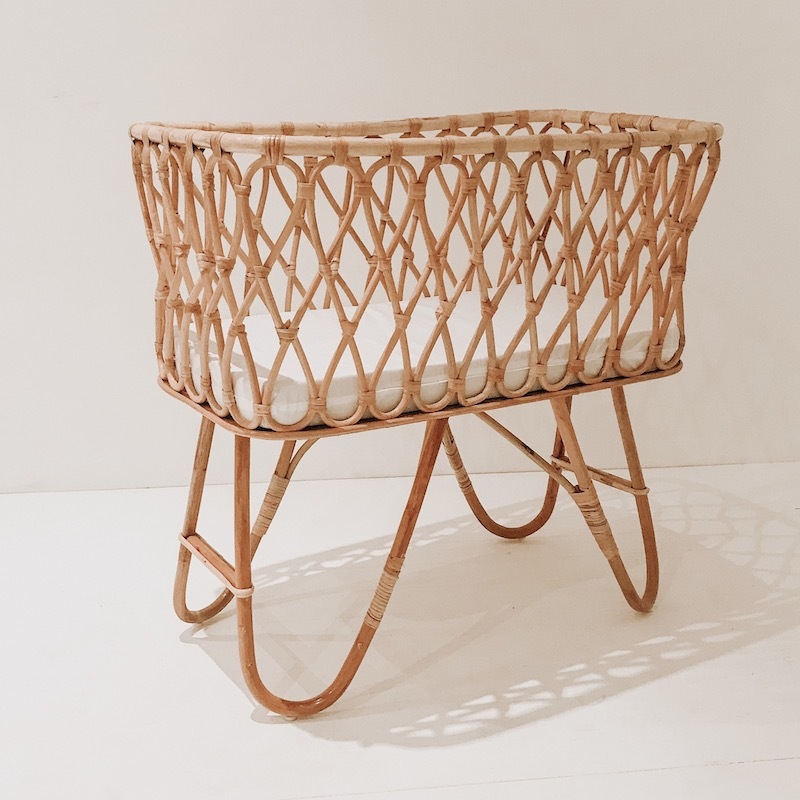 Rattan Baby Bassinets are designed for babies until they are able to roll over or sit up, which is usually around 6 months of age. Our baby bassinets are extremely light, making them easy to move about the house, with each bassinet weighing roughly a few kilograms. With each mattress designed for its specific bassinet, we’ve worked hard to make sure the mattresses fit nice and snug in the bassinets, as recommended by SIDS. We recommend reading up on all of SIDS guidelines for safe baby sleeping.